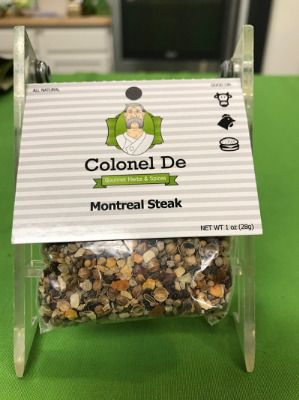 This very popular slightly spicy steak seasoning is a popular addition to almost any steak. One taste and you'll come back for more. This is NOT what you get at the grocery store. Our seasoning is made of: Kosher salt, garlic, pepper, coriander, mustard, dill seed, chili flakes. Kosher salt, garlic, pepper, coriander, mustard, dill seed, chili flakes.